The More Things Change...: Was “The Melting Pot” A Myth In Your Town? Was “The Melting Pot” A Myth In Your Town? Over the past six months, I have taken several opportunities to excoriate the automobile suburbs (“the crabgrass frontier”) for the pernicious effect they have had on both our urban areas and our race relations. It’s time I try to balance the books a little. I have encountered a respected scholar who has something very good to say about those very suburbs. 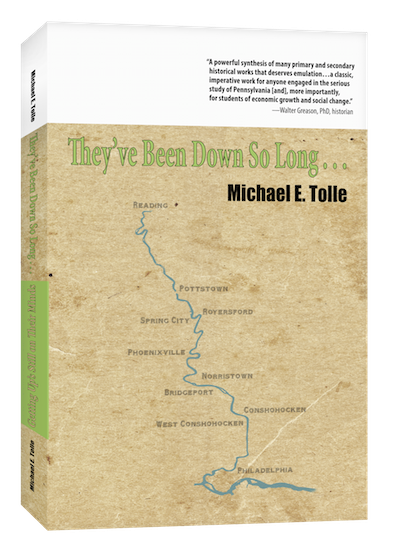 I find his take on the subject fascinating, because it also fits quite closely with my current theme, inspired by the continued closing of Catholic parishes in Bridgeport and the Conshohockens, of how ethnic/religious discrimination and nativism helped to shape the towns along the lower Schuylkill River. The connection between the two lies, surprisingly enough, in one of our nation’s most cherished myths. There may be no more deeply held claim about the United States than that it is a “melting pot,” where ethnicities and races amalgamate into that uniquely blessed person, the “American”. We retained our hyphenated racial/ethnic/religious identities, but managed to subordinate them and cooperate to build the greatest society the world has ever seen. But was the melting pot truth or just another feel-good myth? If we actually did as the myth claims, it had to be in that period since World War I. If you have an eastern or southern European lineage, then the great immigration boom that brought most of your ancestors to America around the opening of the 20th century had been throttled by the mid 1920s. Immigrants continued to arrive in the succeeding decades, but in much smaller numbers. Absent new and different arrivals, the new ethnic groups largely acclimated to their new land, and even assumed a degree of political power within their communities. This initiated the period our parents taught us to believe was “the good old days,” when people were honest, worked hard and rejected government handouts. This was also when the concept of the melting pot made its appearance, celebrating the work-together attitude of Americans despite their different ethnicities and backgrounds. This is quite a claim, but before we examine it through the lens of ethnicity in my subject towns, we must take notice of the one classification Lindsey conspicuously does not mention: race. He slides right over the point on the way to his thesis, and even a cursory knowledge of American history requires us to admit that the melting pot allowed little black input. Lindsey ignores this point, but I have emphasized how the automobile suburbs actually contributed to residential segregation. But what about Lindsey’s claim that it took the post-war suburbs to bring people together across ethnic and religious lines? Region and class have always played a part in our interior isolation from each other, but when we speak of the melting pot it is the mixing of ethnicity and religion that we are discussing, so that’s where we should focus. Lindsey offers a broad refutation of a widely-held belief, so we must be careful in examining such a claim. The first major distinction is to separate the situation in large cities from that in the smaller urban areas. The existence of ethnic enclave neighborhoods in large cities prior to the Second World War is well documented and understood. They had been long established by that time, spanning generations. Their boundaries were unofficial but both recognized and respected. Young men in particular knew which streets were safe to walk, and those where “intruders” were at risk, usually from young men from “the neighborhood.” The violence that actually resulted from this pales against what takes place routinely today, but such subdivisions of a large city had a firm foundation in the ethnic and racial divides that existed within our cities at that time. But what about our small towns, for example your old “home town”? Is Lindsey correct? Was “the melting pot” a myth in your town? Let’s pick the admittedly quite arbitrary date of 1950 to examine this question, and focus on the time before that. By that date, small town America still remained largely strong and vibrant, but the automobile suburbs were beginning to drain away long-time urban residents. This was the sunset of “the good old days” that so many people lament, and to which they wish we could all return. It is a good point to divide our analysis of the melting pot into the old—in our traditional urban areas, and the new—in the automobile suburbs. I can speak with some authority only about the ethnic/religious divisions within Norristown prior to 1950, because I have researched the subject. My research has also produced some insight into Bridgeport’s situation at that time. Such knowledge as I have accumulated, I must confess, suggests that Lindsey has a point. 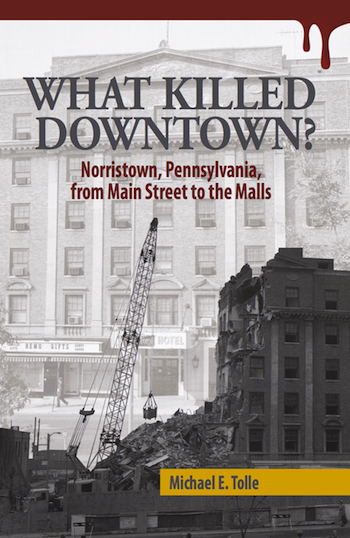 In 1950, Norristown was still one of the more egregious examples of a town riven and divided by ethnic conflict. The first crisis came when the Irish began to arrive. They were “ghettoized,” as we term it today, but that was only a rehearsal to what would happen when the Italians began to arrive. This influx was much larger, and Norristown simply directed its Italian immigrants to the east end of town, the least developed, with the most shanties and shacks. This became an unwritten law, and as late as 1950 kept all but the most well-off Italians within the area east of DeKalb Street and south of Fornance Street. This made an ethnic divide into a geographic one. This did produce one unintended result, Italian political power in the East End, and thus in Norristown Borough Council. You could read about this dispute on a political level, but you also lived it on a personal level. 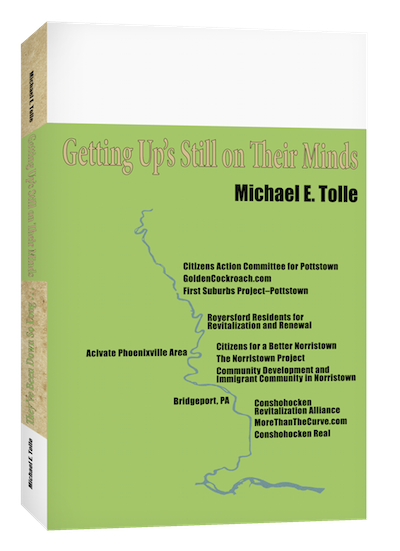 Everyone I interviewed about growing up during the years before 1950 was adamant about the subdivisions with Norristown, and each described them in the same way, only from their individual vantage point. To those growing up during this time, Norristown’s internal divisions determined where you could safely go, where you didn’t dare, and which ethnicities were not allowed to even date one another. The evidence on this is consistent: in “the good old days,” Norristown’s melting pot did not even heat up. It is clear that the author uses “racial” where we would use “ethnic,” as the African American population of Bridgeport was very small at this time, and totally without political influence. The usage also provides insight into the mindset of people in our towns during this era, adding indirectly to the evidence. What is fascinating is how such a frank statement made its way into an official publication, which normally allows no such thing, regardless of the town or the occasion. Of course, a single statement, even such an authoritative one, is not sufficient to support any conclusions about Bridgeport’s political and social fabric prior during its heyday before Second World War. Yet it does suggest that Bridgeport shared yet another issue with its larger neighbor across the river. I would encourage local historians to look into this. But what about the other river towns on which I focus? My knowledge of how varied the ethnic/religious mix was among these towns is little more than superficial, yet sufficient enough to require an examination of each individual location, because differences among them exist, and were important. I thus address this issue in the form of a request to those of you who grew up in these other towns, or whose parents did, during the ostensibly “good old days”. Remember, we are speaking of the period largely before 1950, so what stories did your parents tell you about your town in “the good old days”? Were Royersford, Spring City and West Conshohocken even large enough to demonstrate internal ethnic/religious divisions in the first place? If your parents lived in the larger towns, who were their friends, who could they date, and who couldn’t they? Where there places where it was safe to go, and those where it wasn’t? What unwritten rules existed, and were they based on geography or on ethnicity? Could Italian Catholics date Irish Catholics? How about Slovaks and Ukrainians? Or Jews? Ask those who remember; you substitute the actual nouns involved in your personal stories, those you learned growing up. I would very much like to know what your local research into family and community turns up, so feel free to contact me. I repeatedly encourage my readers to look into the way things actually were in their old neighborhoods or towns; only understanding the truth about our problems allows us to craft effective solutions to those problems. But always keep in mind that what is often said of genealogy is also true of local history: don’t get into it if you aren’t prepared to handle the unpleasant surprises you are sure to encounter as the myths you so cherish founder on the rocks of reality. When that happens (and it will), try to remember that the end result—knowledge something closer to the truth—is worth the effort, and even the anguish over lost dreams. Deinstitutionalization Deja Vu for Norristown?